The ‘Let’s make our Families Safe’ (Safe Families) project is implemented by Oxfam in partnership with the International Women’s Development Agency, the Pacific Leadership Program, as well as local non-government organisations. It mobilises communities and builds coalitions for action in the Solomon Islands to change the social norms, values, attitudes, and beliefs that drive family and sexual violence. ‘attitudes and mindsets are changing in Lilisiana community’. 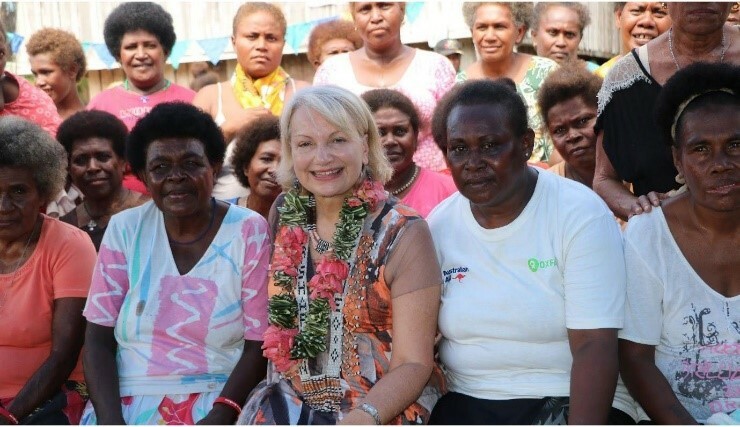 Safe Families is funded under the Australian aid program’s Pacific Women Shaping Pacific Development initiative. Through Safe Families, the Lilisiana community has appointed policing assistants to implement village by-laws developed by the community. Safe Families partnered with the Auki Police Department to deliver training to the policing assistance to help them carry out their roles effectively, as well as to community members. The 30 participants learned about the different types of violence against women and girls, how to prevent it in their community, and the Family Protection Act 2014. Through the Safe Families training conducted by Ms Gelisae, the participant learned that hitting her children was a form of violence and child abuse. Safe Families is currently working in 39 communities to support change like that occurring in Lilisiana.